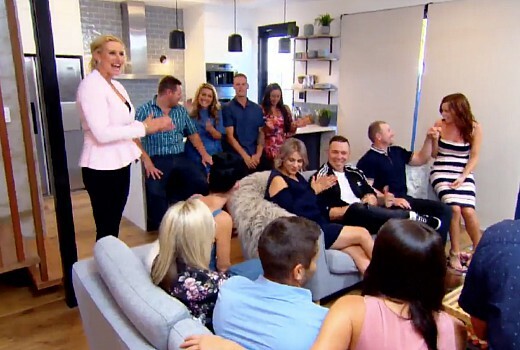 A Rosebery house renovated by House Rules contestants as a challenge has sold for $1.605m, delivering a huge profit of $355,000 as this season’s prize. The figure represents an increase on recent season prizes of $200,000. The first 4 seasons saw winners have their mortgage paid off, with the biggest at $520,000 in 2014. The Block 2017 winners Elyse Knowles & Josh Barker won a total of $547,000. The renovation challenge was not without incident with design expert Carolyn Burns-McCrave knocked to the ground when a piece of timber was dislodged and struck her in the chest. She recovered later in hospital. It was an interesting concept, but it really didn’t fit with the ethos of HR because very little of that renovation was actually done by the contestants. It was really just a pretend design challenge. I look forward to the real competition starting. I don’t really understand who actually paid the renovation costs? Love HR though so happy it is back and I promise I won’t try too hard to understand any controversial judging decisions ! Yes, some ‘interesting’ scoring there, and an obvious set-up of a feud.